It’s been an odd but wonderfully fortuitous experience for me as a longtime Nikon shooter. Nikon always seems to come along with a piece of equipment that accommodates the ceaseless migration of my imagination at the moment I seem to need it. Years ago, when I climbed the antenna atop New York’s Empire State Building, I needed fast, wide, rectilinear glass. I did not want to use a fisheye up there, as my client, National Geographic, tended to be hesitant about distortion. Voila! At that exact time, Nikon announced the 14mm f/2.8 rectilinear wide-angle lens. It was the perfect lens for that job, and I toted it up the tower four times to get the shot that ultimately ran in the magazine. Given the rarity of access to that antenna, it is a shot that has stayed with me for many years. Not too many pictures out there of the light bulb being changed at the pinnacle of that venerable landmark building. Fast-forward to present day and we have marvelous visual tools such as the D5, and are at the doorstep of another Nikon digital wonder, the KeyMission 360 camera. Small, light, 4K, high resolution, Wi-Fi® enabled, this pocket-sized miracle just opened up new doors for my imagination to run through. One of the projects I’ve done was from more than halfway up the sheer glass side of the Burj Khalifa tower in Dubai, currently the world’s tallest building. To get that picture, I descended the building on ropes with the window-washing crew. On another adventure, I climbed to the highest point of the building, standing on the railing that holds the aircraft warning lights, with the shimmering city of Dubai, sitting on the edge of the desert, below me. But, it has competition. An enormous edifice has just been completed, the mighty new Shanghai Tower. Sleek and beautiful, it twists into the clouds, silvery and serpentine. It falls just a few meters short of the Dubai colossus. Naturally, I would like to climb this tower. With the KeyMission 360, bolted to my hard-hat, and my chest and back. That is the beautiful thing about the KeyMission 360. It is so tiny you could literally wear a dozen of them. That climb would be an adventure worth documenting in 360 degrees of coverage. With Nikon’s support and given the enormous national pride China has evinced in that gleaming new structure, we might just get permission. I have also always wanted to wing walk. And I have worked with the intrepid tandem of Gene Soucy and Teresa Stokes, out of Texas. He flies, she wing walks, and together they put on quite a high-flying, barrel rolling, loop-de-loop show up there in the blue beyond, in their brightly colored biplane. I have flown with them and can personally attest to the dynamic potential they present, visually. I would drill a hole in my flight helmet, and bolt a KeyMission 360 to an 8-10” extender arm popping straight up out of it. I would also put a KeyMission 360 on Teresa, and the struts, and the upper wing, and Gene’s dashboard. (Not possible with a normal sized camera.) Also, the camera has VR, and is waterproof. Given the rock and roll nature of flying in an old style prop airplane, and the uncertainties of weather, the KeyMission 360 is a perfect machine for the job. With all these vantage points, and all those combined degrees of coverage, an amazing film would be generated, edited for sheer excitement and the non-stop, upside down, twisting, turning excitement of flight. The world is round. Now, so are Nikon’s cameras. Check out the final result of Joe McNally's project using KeyMission 360 cameras to record wing walking in mid air. Read more here. 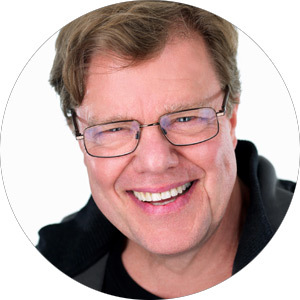 HomeEducationEducational ArticlesIdeas & InspirationJoe McNally, what is your KeyMission?